The World Health Organization says that over 340 million people worldwide are diabetic. People affected by diabetes know that amputation is a common threat they need to avoid. Fortunately for many, amputation is avoidable by taking proper care of one’s body. In cases where amputation is determined to be necessary, physicians can focus on helping their patients adjust to life with prosthetic limbs. 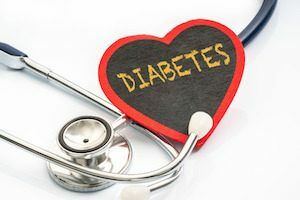 When it comes to managing diabetes, getting plenty of exercise, monitoring the level of glucose in one’s bloodstream, and maintaining a healthy weight help a lot. However, it’s important to remember that diabetes can also cause ulcers and gangrene. Diabetics should put a lot of effort into preventing these conditions so that their limbs don’t eventually need amputation. Diabetics need to take special care of their lower limbs to avoid having to get them amputated. For help treating the effects of diabetes in your feet, speak to one of our podiatrists of Foot HealthCare Associates for treatment. Our doctors can assess your current level of foot health and provide you with the care you need. Diabetes affects millions of people every year. Diabetes damages blood vessels in many parts of the body, including the feet. When damage occurs to nerves in the feet, they may be unable to send proper signaling to the peripheral nervous system, resulting in a condition known as neuropathy. Once a diabetic patient develops neuropathy, it is mandatory that they take good care of their feet to avoid amputation. – Routinely inspect your feet for bruises or sores. – Wear socks that fit your feet comfortably. – Finally, wear comfortable shoes that provide adequate support. Patients with diabetes should have their doctor monitor their Hemoglobin A1C levels. This test allows the physician to know how well they controlled blood sugar levels during the past 3 months. It is important to keep the blood sugar levels in a normal range (70-110mg/dl). Visiting a podiatrist is especially crucial if the diabetic patient is experiencing any conditions involving his or her feet. Finally, it is always best to inform your healthcare professional of any concerns you may have regarding your feet.